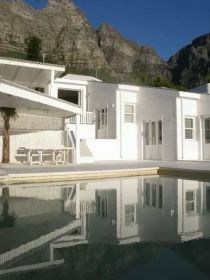 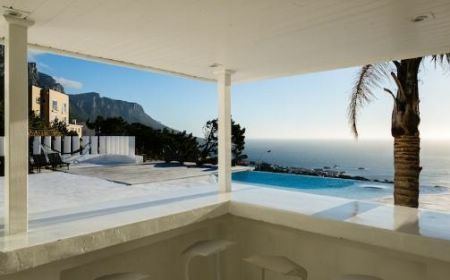 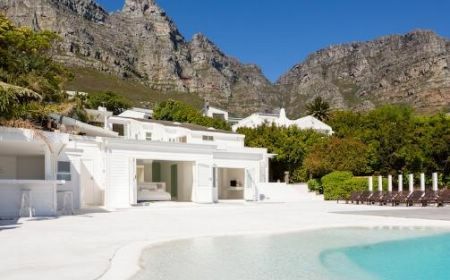 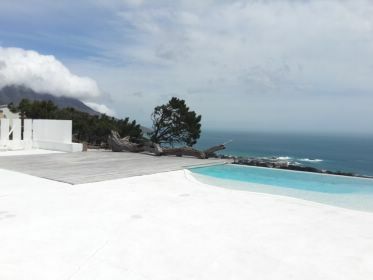 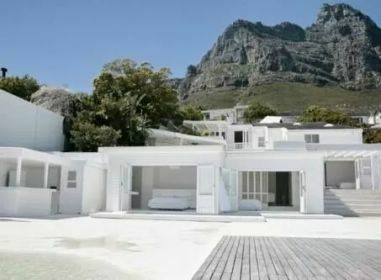 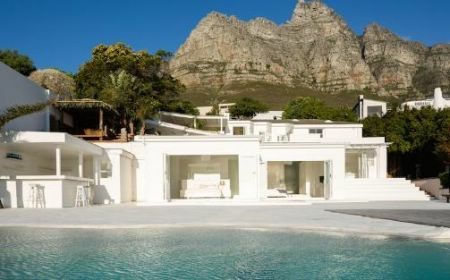 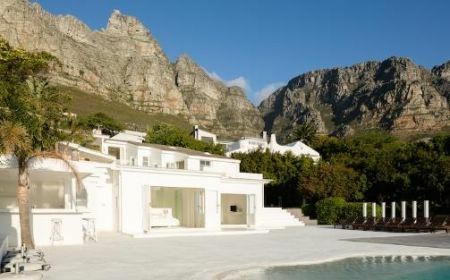 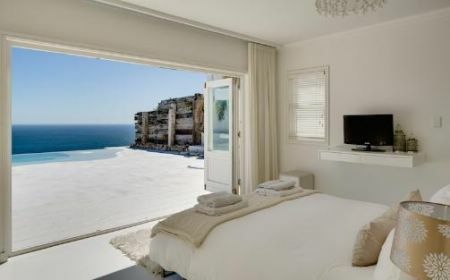 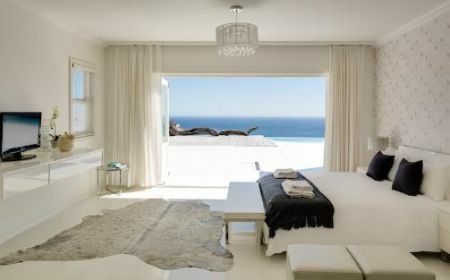 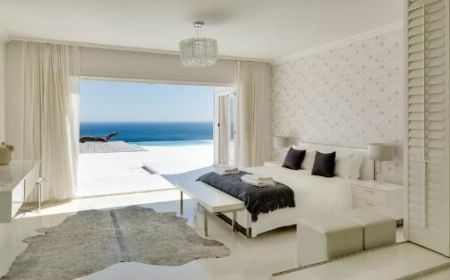 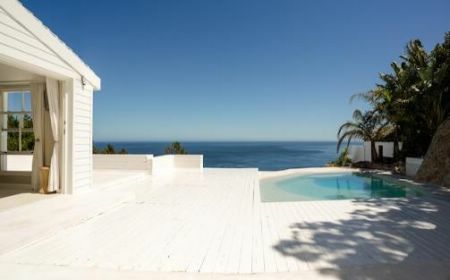 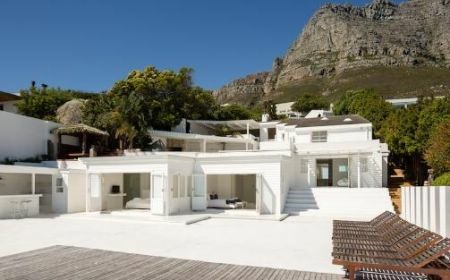 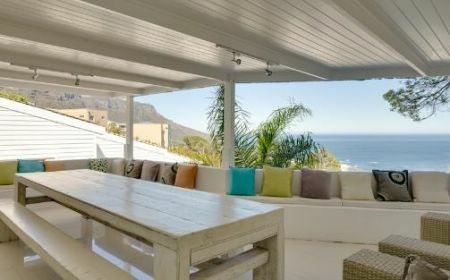 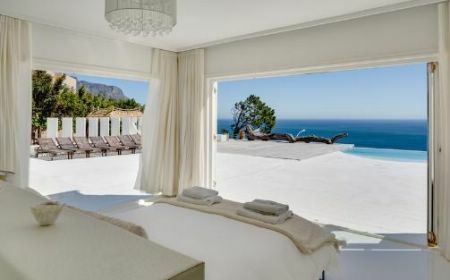 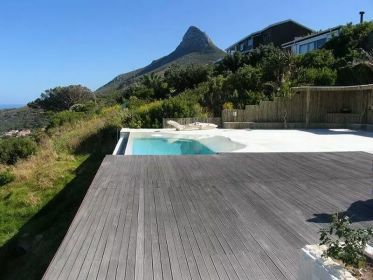 This magnificent and modern house is situated in Camps Bay and nestled between two of the most breathtaking views Cape Town has to offer, the vastness of the ocean to the west and the ever imposing 12 Apostles to the east. 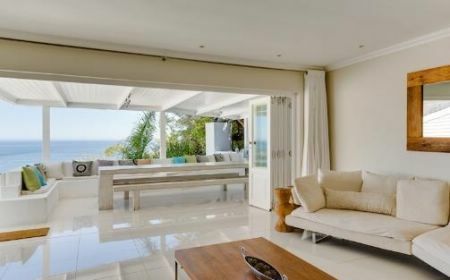 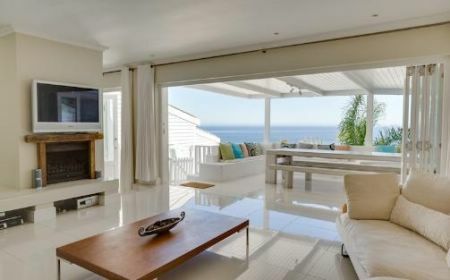 Set high up in the picturesque enclave of Camps Bay this spectacular 3 level villa is the epitome of luxury beach living featuring amazing ocean and mountain views. 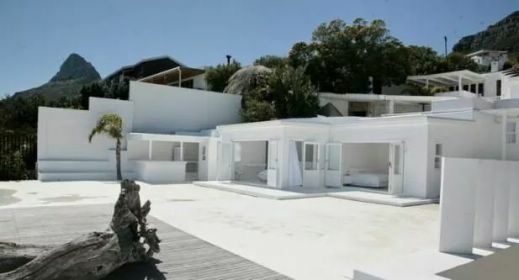 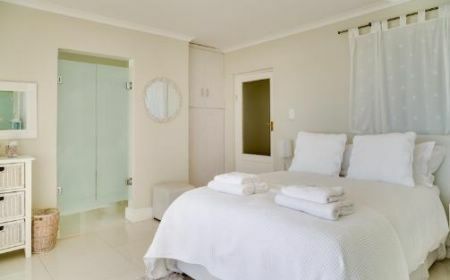 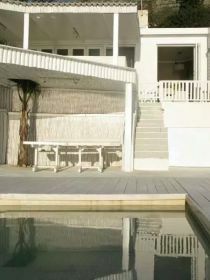 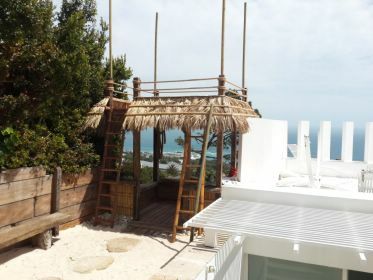 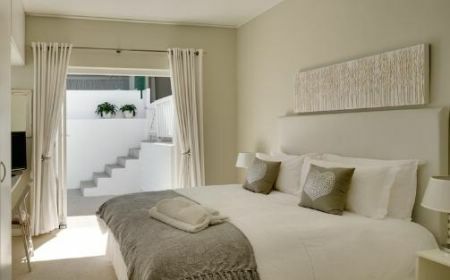 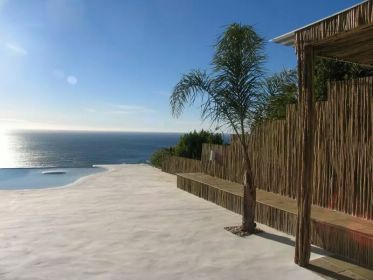 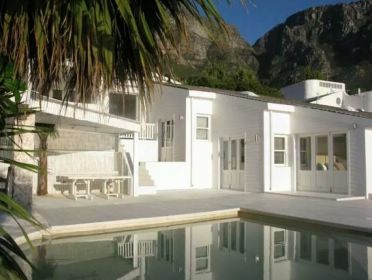 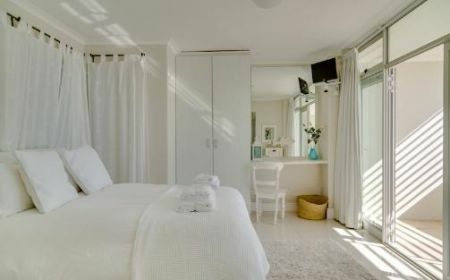 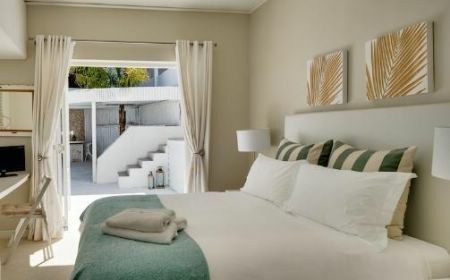 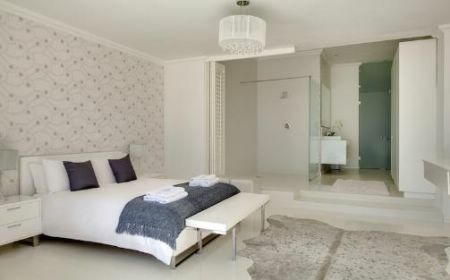 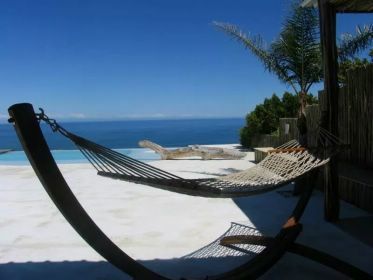 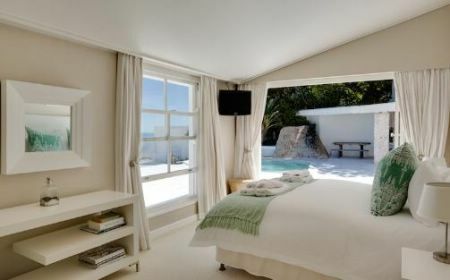 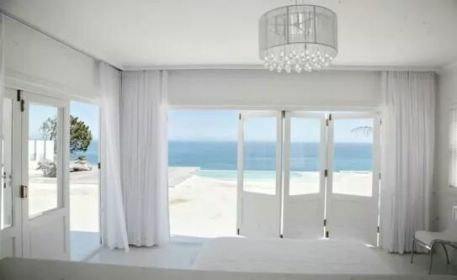 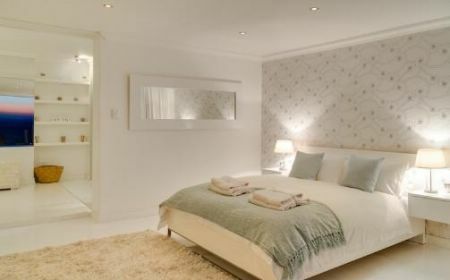 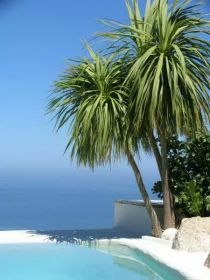 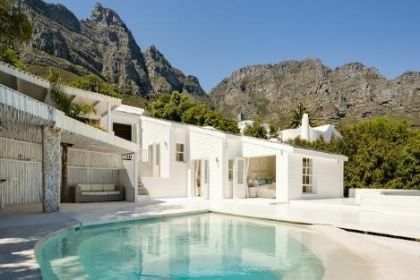 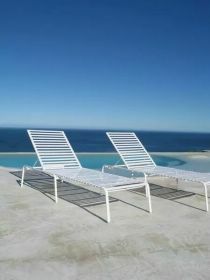 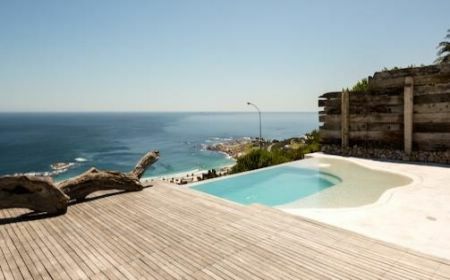 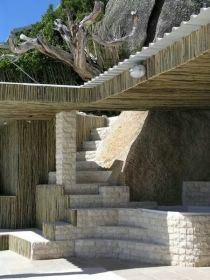 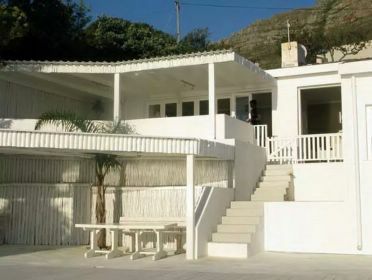 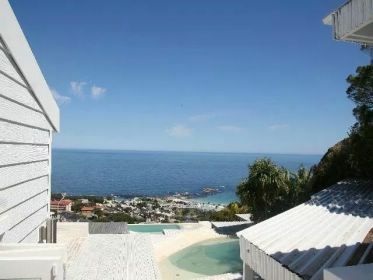 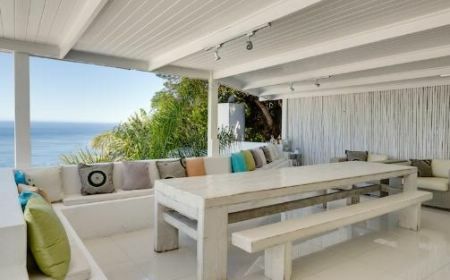 Two Views Beach house is centrally located being approximately 3-minute drive to the beach and main Camps Bay strip. 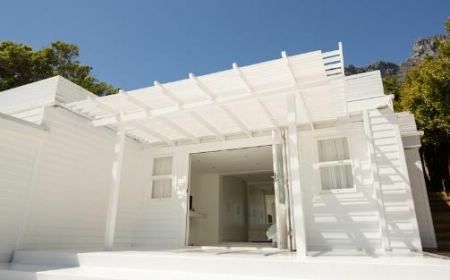 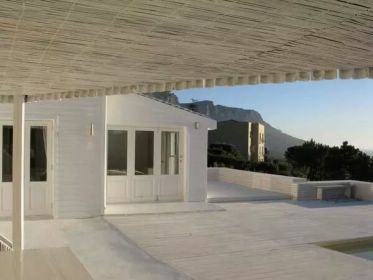 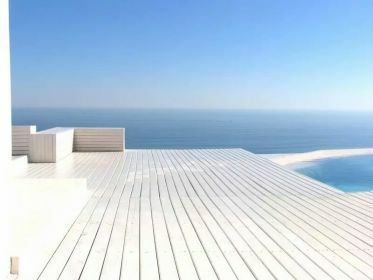 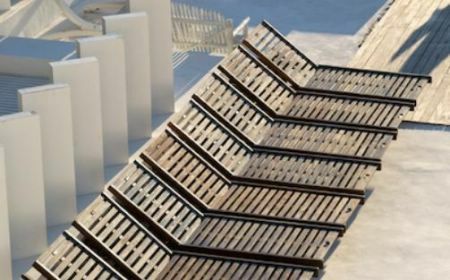 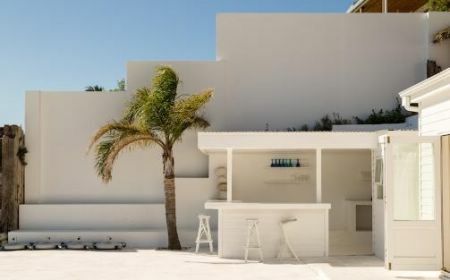 The villa boasts clean white crisp lines and natural elements in the dcor. 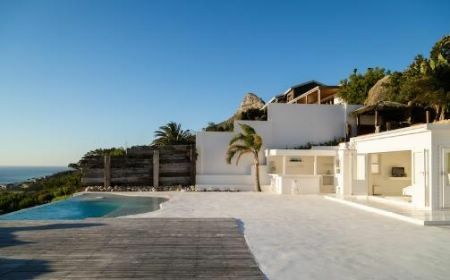 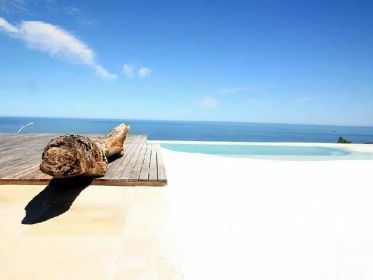 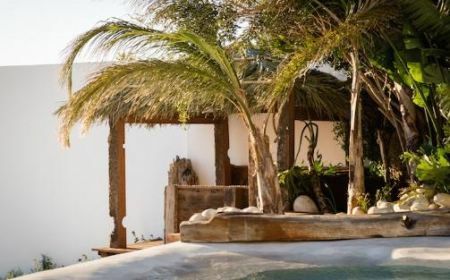 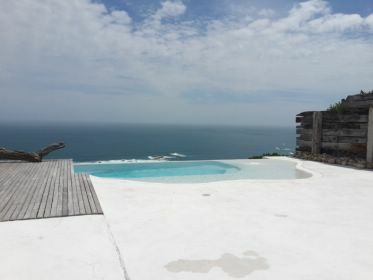 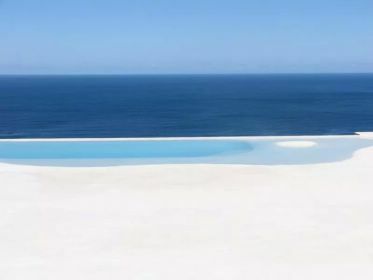 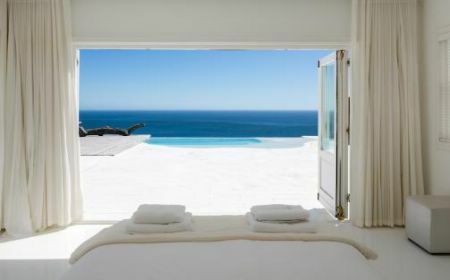 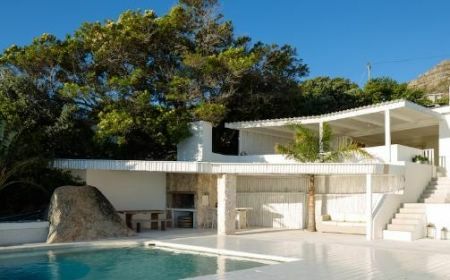 Whether sipping cocktails at either one of the curved infinity pools and sprawling decks or enjoying the magnificent sea views from the villa you are sure to enjoy your time staying at Two Views Beach House. 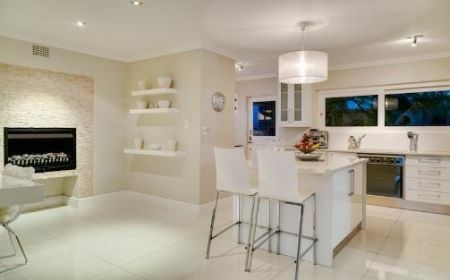 The main living area is open plan and leads onto the dining room and outside deck. 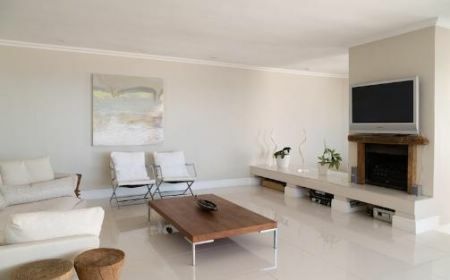 There is a LED Smart television and satellite tv DSTV. 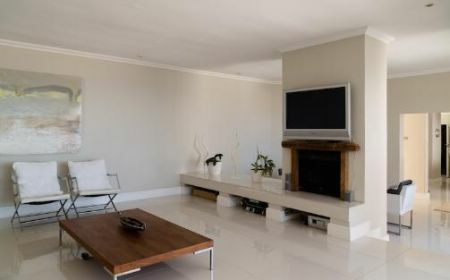 There are 2 gas fireplaces. 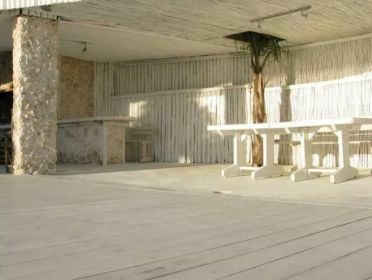 The indoor dining area seats 8 and the outdoor dining area seats 14. 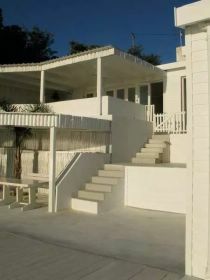 Please be advised that the house is split into 3 levels, 3 bedrooms in the main house, 3 bedrooms on the middle level (accessible via outdoor stairs) and 2 bedrooms on the lower level (accessible via outdoor stairs). 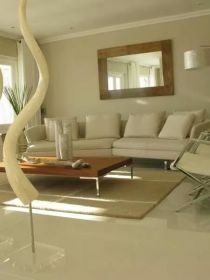 The living area is equipped with lounge furnishings, gas fireplace, LED smart TV and satellite television. 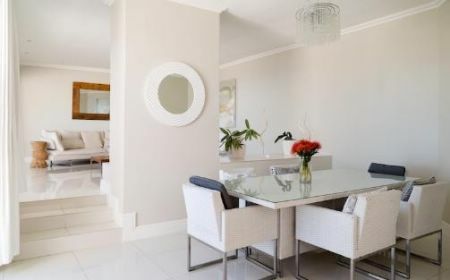 The dining area has an 8 seater table and chairs.